Each year in Britain, over £120 billion of our money is taken from us and put in the pockets of the people who manage our savings, pension funds and investments. If our savings were regularly increasing in value and if most of us could look forward to a reasonably comfortable retirement, then handing over £120 billion a year to just a few hundred thousand financial services insiders to look after our money might be justifiable. 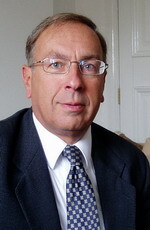 But many ordinary people have seen the returns on their savings collapse, their pension funds struggle to produce enough money for them to consider retirement at all and their investments fail to produce anything like the mouthwatering growth seemingly promised in the unit trust ads in the Sunday papers. We can no longer rely on the state or our employers to provide for our financial futures. Increasingly we have to take responsibility for our own finances. Yet, as we are encouraged to pour ever more of our money into banks, building societies, pension funds and unit trusts, it is far from obvious that we are being well served for the £120 billion a year taken from us by the financial services industry. In fact, it often seems as if whatever happens in stock markets and the economy, the only winners are those who are fortunate enough to get their hands on our savings while we ordinary savers are being taken for mugs. We cannot allow this to continue. 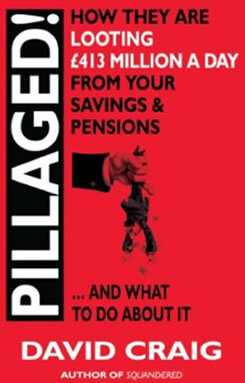 Pillaged reveals the shocking truth about how billions are being looted from our savings and pensions and shows what we need to do to secure our own financial futures.